In stark contrast to the bombastic madness of other sets, Germany's Gaiser started, and remained, ridiculously consistent. 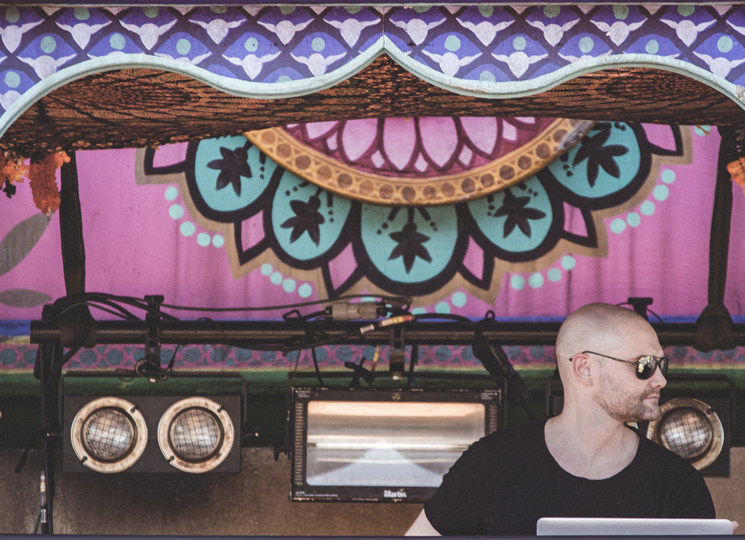 He's generally known to have incredibly subtle sets, and in terms of most electronic acts at Bestival he was just that. In terms of Gaiser, however, he played a lot more to the crowd in front of him. There were plenty of little build-ups and bass drops in there to help the audience along, something that might have been slipped in simply because of the fact that he was at a festival with all types, as opposed to club full of techno fans. Still, we're not talking about hand-holding the crowd to any degree. Mostly, his bass lines went on for what seemed like eons, only shifting slightly throughout. With a lot of Bestival's electronic acts falling somewhere between big, noisy trap and pop-leaning dance music, Gaiser's ever-moving set of slick minimal techno was a welcome treat. His show was a master course in how to stay at the same pace while somehow upping the energy with every track. As his set came to a close and Joris Voorn began to set up for his show, the cramped Bollywood stage took on a strange scene: with Gaiser, Voorn, and two unknowns all donned in black t-shirts and sunglasses, it looked like a hip Kraftwerk had just arrived — they were looking like Kraftwerk, but sounding like Minilogue, which isn't a bad combo by any means.